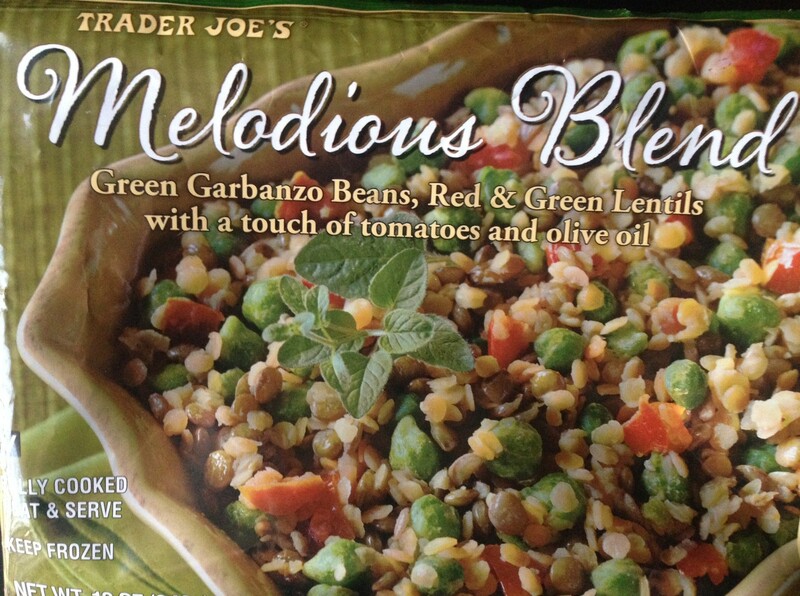 Another one of my vegan recipes you can make from ingredients at Trader Joe’s! I love me some pasta. All kinds but one of my favorites is a tomato basil with simple but delicious favorites! I’ve whipped this up with grape tomatoes , a new favorite are these Villagio Marzano tomatoes from Trader Joe’s but if you can’t get those, any grape tomatoes will do. One items i forgot in the photo was the pine nuts, you don’t have to have them but i sure do love them! Cook linguine according to package to al dente and make sure to add lots of salt to the water! Add olive oil to skillet and warm over medium heat, add onion and salt and pepper. Saute 3 minutes until soft and translucent. Add garlic and saute for 1-2 minutes – do not burn or let it get brown. Add wine and let simmer for about 5 minutes or until reduced by half. Add in tomatoes and cook for a few minutes until soft. Reduce heat and stir in 1/4 cup of the pasta water, along with linguine and let simmer on low for 1-2 minutes, add remaining if water if needed. Remove from heat, stir in as much basil as desired, season with salt and pepper to taste, crushed red pepper (if using), top with pine nuts, drizzle with olive oil and serve! I stumbled upon an easy taco filling. Substitute any other of your favorite vegetables! Just take note that their taco seasoning is bit spicy so go easy with it and if you want to use less you can add in some cumin or other spices for flavor without the heat. Heat oil in a skillet over medium low heat. Once hot, add onion and zuchinni. Saute for 5 minutes giving a couple stirs. Add in garlic and taco seasoning and cook 2 minutes. Stir in flour and cook for 1-2 minutes. 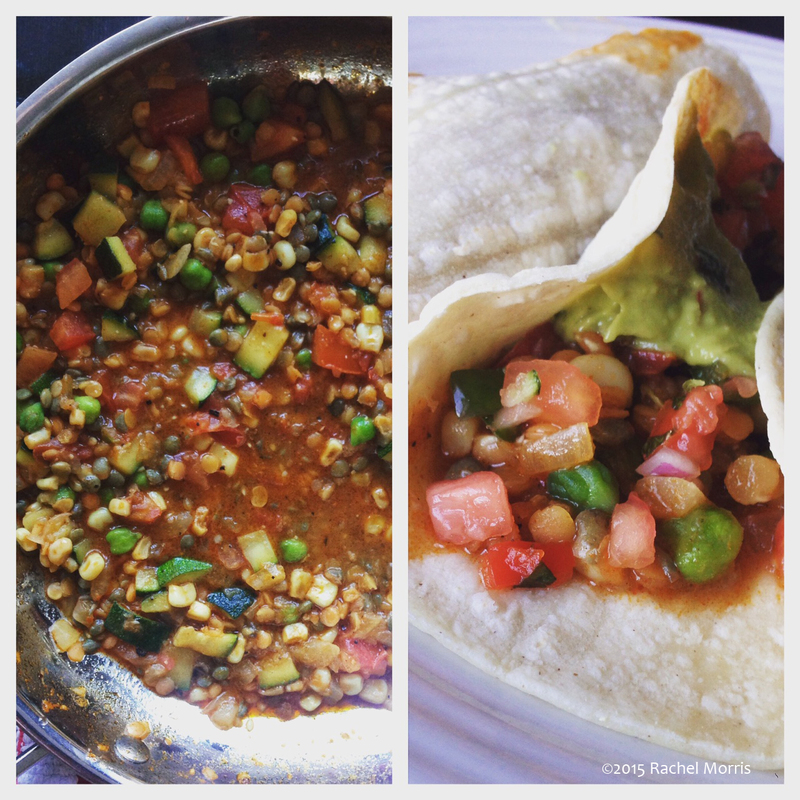 Stir in broth, then add frozen lentil and green garbanzo mix, tomatoes, and corn. Stir, then raise the heat to medium and bring to a simmer. Cook 5-6 minutes until cooked through and sauce thickens. Remove from heat and stir in cilantro. Serve in tortillas, over rice, nachos.